What the hell is Cloud Computing? Who Am I, Whence do I come from, Whither do I go? 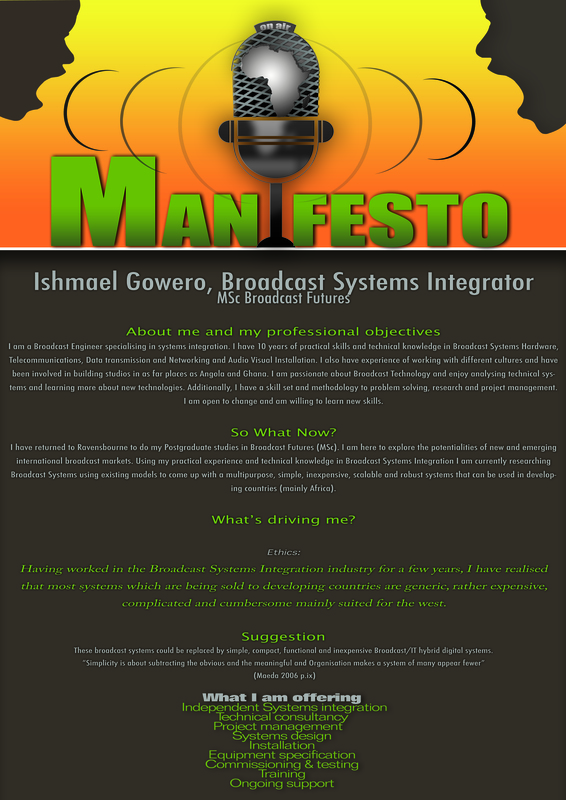 I am a Broadcast Engineer specialising in systems integration. I have 10 years of practical skills and technical knowledge in Broadcast Systems Hardware, Telecommunications, Data transmission and Networking and Audio Visual Installation. I attended Ravensbourne College of Design and Communications and graduated with a BSc (hon) in Broadcast Technology. I also hold a foundation degree in Computer Engineering. I also have experience of working with different cultures and have been involved in building studios in as far places as Angola and Ghana. I am passionate about Broadcast Technology and enjoy analysing technical systems and learning more about new technologies. Additionally, I have a skillset and methodology to problem solving, research and project management. I am open to change and am willing to learn new skills. Why I Think I am motivated to do a project at Ravensbourne. I have returned to Ravensbourne to do my Postgraduate studies in Broadcast Futures (MSc). This time I am more certain, poised and feel as if I am following my inspired destiny. I have also come to learn how to organise my thoughts and ideas. Having a passion for technology, I have come to learn, explore, experiment with Stereoscopic 3D. It is such an honour to be able to study alongside some of the most technical, creative and highly knowledgeable students here at Ravensbourne. I look forward to the group projects where we cross collaborate and work together bringing different expertise together . Being an engineer and a minimalist, I have always considered myself as having an uncanny ability to do my work, believe it or not, I also believe that playing small does not serve the world and I have returned to Ravensbourne to stand on the shoulders of the giants so I can see further!